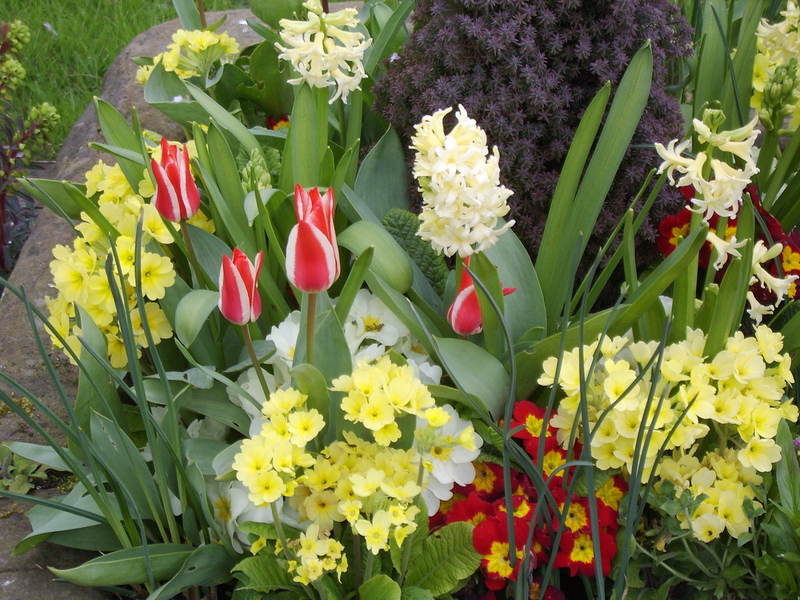 • Purchase spring blooming bulbs as soon as they become available in the garden centers, or mail order special varieties now. Living Expression Landscapes recommends The Southern Bulb Company online. They sell bulbs that will naturalize in our Houston climate. Plant them fall through December for a beautiful spring show. •There are many other beautiful spring bulbs we can enjoy here in South East Texas regions such as daffodils, hyacinth, tulips, Dutch iris, and more. Have a favorite color? Chances are you can find bulb colors to match. •Refrigerate tulips, hyacinths, muscari and crocus at least 8-10 weeks before planting. These types of bulbs need a "cold period" to develop beautiful flowers, and you can begin this chilling period mid-September. - Loosen the soil and make a hole with a trowel or bulb planter. - Don’t mash the bulb into the soil or you may damage the bottom of the bulb, causing it to rot. - In general, plant bulbs at a depth twice the height of the bulb. - Keep the soil temperature down by regular watering, and add a thick layer of mulch to help retain moisture. Want a beautiful outdoor Spring color show without the fuss? Let Living Expression Landscapes create and maintain a customized plan for you year round!